An underground cycling route may soon connect Helsinki’s downtown districts of Kamppi and Kaisaniemi. 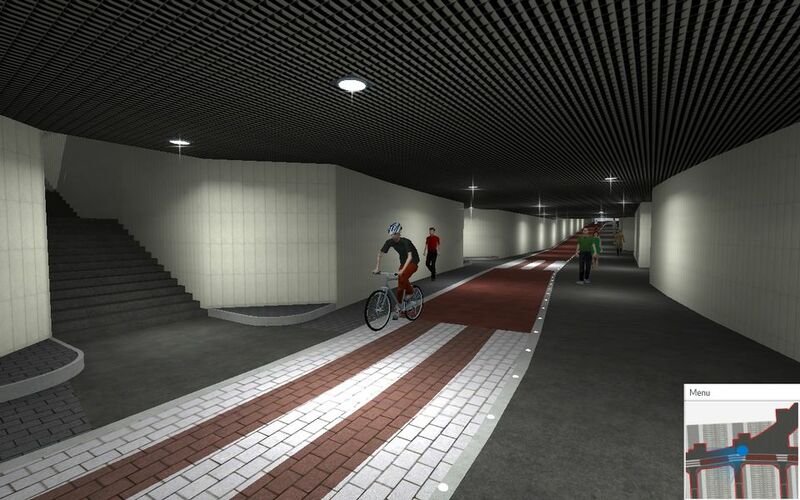 Helsinki’s urban planners are leaning towards building a subterranean bike tunnel between Kaisaniemi and Citizens' Square over the competing option of an overpass above the rail yard. City officials are, however, still reviewing the feasibility of a bridge stretching from Kaisaniemi park to Töölönlahti, just north of the new Central Library Oodi, which open its doors in December. The proposed underground cycle route will now move on to consideration by the city board, after which city council members will have the final say. Once green-lit, tunnel construction, with an estimated price tag of 23 million euros, would begin in the coming years. The plan for a 220-metre tunnel was presented to the committee earlier this year. It would be connected to the existing pedestrian tunnel under the railyard. The cost estimate was more than twice the 10 million euros estimated for the bridge alternative. Helsinki eyes cycle tunnel under train station – or a bridge over it?